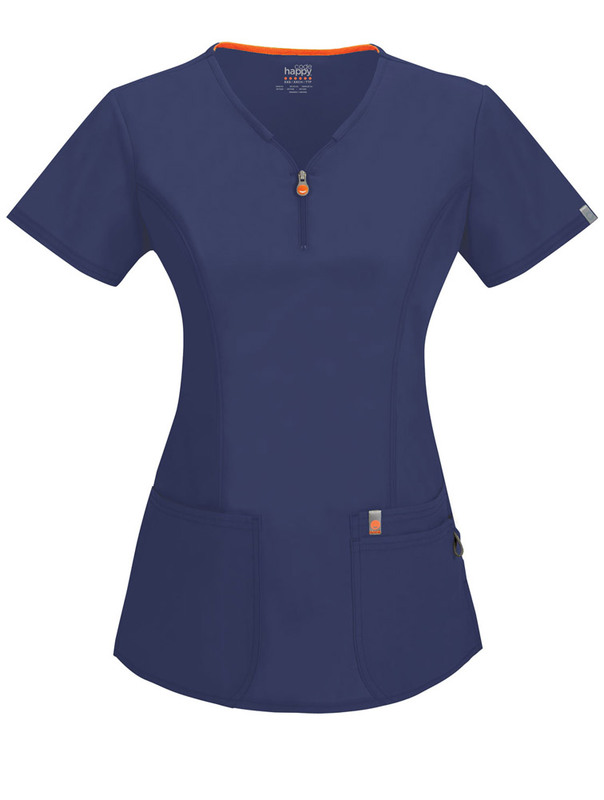 A V-neck top with a logo zipper neckline features front princess seams, multiple pockets, a bungee I.D. loop and an internal mesh instrument loop. Also featured is a signature mesh binding at the back neck, double needle topstitching and side vents. Center back: 26"